Peace On Earth is a Special Edition Pattern Packet. Bobbie's design on the trunk's top is of a woodland fairy casting his magical spell on creatures gathered on the fairy ring in the forest. 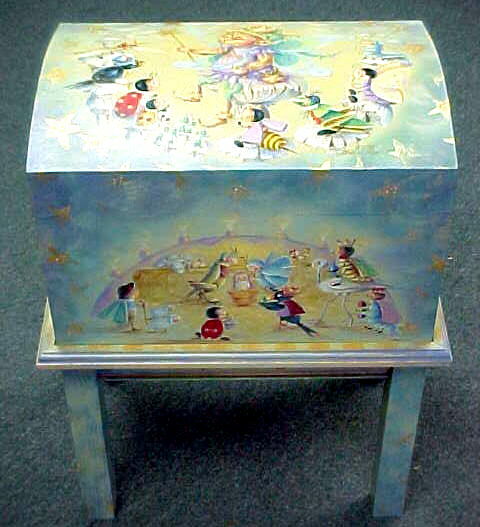 The trunk's front is decorated with an enchanting manger from Bobbie's imagination. The sides of the trunk are designed with trees of choir angels and an angel orchestra. This precious trunk and stand are designs straight from Bobbie's heart.